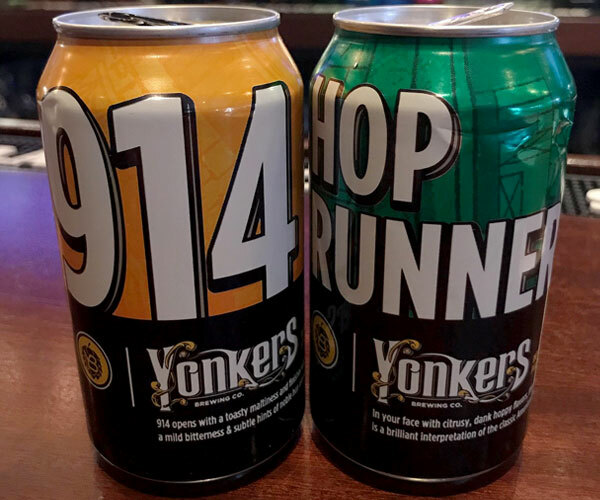 Yonkers Brewing Hop Runner IPA - Oak Beverages Inc.
Yonkers Brewing Hop Runner is in YO face with citrusy, dank hoppy flavors, this IPA is a nice bright and dry interpretation of the classic American IPA. Like any other great idea Yonkers Brewing Co. was thought of with a beer in hand. The concept of brewing came to John Rubbo and Nick Califano after they tirelessly helped their grandfathers make homemade wine. As they exchanged stories about crushing grapes and discussed the intricacy of fermentation, they cracked open a cold beer. As the cap fell off the lights went on, “Why not just make the sweet nectar we enjoy so much more?” they asked. The generations-old tradition of wine making sparked a fire and they brewed up a recipe that is now known as their flagship, Yonkers Vienna Lager. The two Yonkers natives, John and Nick spend one summer in the backyard of John’s parents’ home – yes, in Yonkers – studying the depth and breadth of the brewing process and trying their hand at creating a recipe they enjoyed. They also created a detailed business plan through learning about the marketplace, analyzing sales statistics, current trends, and structures of craft breweries across the United States and speaking with local business professionals. This research and passion built the foundation for the business. Located in downtown Yonkers, they want the brewery environment and culture to reflect how they see their hometown and be a place where the community can come together in a lively environment to celebrate what this city has to offer – culture, entertainment, sports and now good beer.